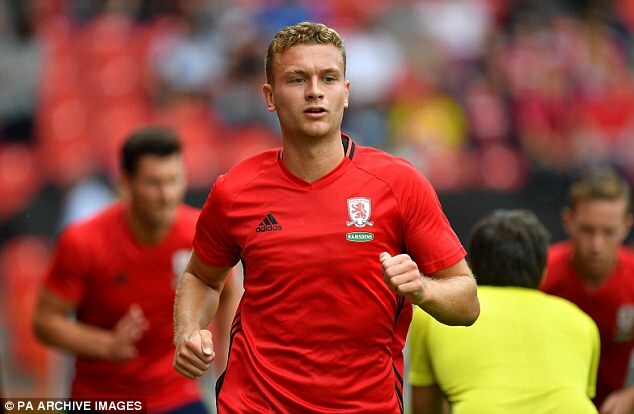 In a desperate attempt to ward off interests from Chelsea for their defender Ben Gibson, Middlesbrough have slapped a £35million price tag the highly-rated centre-back. The 23-year old has been linked with the Blues for quite some time now and Mirror has reported that Blues boss Antonio Conte and his scouts have been tracking Gibson’s progress this season and are very impressed with his performances. The Stamford Bridge outfit will enter the January transfer market with a centre-back as its top-most priority and reports claim that the Middlesbrough defender has emerged as the top target for Conte. Chelsea were initially interested in Napoli centre-back Kalidou Koulibaly. However, they are not willing to pay a staggering £50 million for him in the upcoming January transfer window, since the Senegal international will be playing in Africa Cup of Nations. Moreover, to meet the Premier League’s homegrown player regulations, Gibson is seen as an ideal player. Chelsea’s Premier League rivals Everton are also a big admirer of the youngster and are keeping close tabs on the youngster. Meanwhile, Gibson, who signed a new deal earlier this year to keep him at the club until 2021, had previously said that he is just concentrating on playing for Middlesbrough. Before his team’s match against Chelsea on November 20, he had said:“It’s obviously flattering but I just concentrate on myself and staying in this team. “I let other people mention me. My next step is trying to play a full season in this division and trying to stay in the Premier League. I’m not looking at anything other than that. I’m inexperienced at this level. The report also claimed that Chelsea owner Roman Abramovich has given Conte the green light to splash the cash in January. Conte has been very successful after implementing his 3-4-3 formation and the Russian billionaire has told him to sign new players to bolster his squad.